Young children and restaurants are not a natural fit. 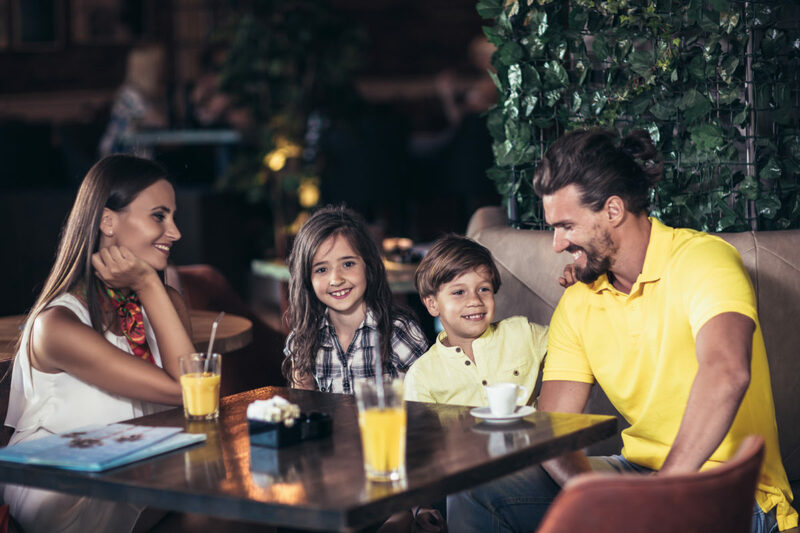 Kids have a lot of energy (A LOT) and often that energy isn’t appreciated when eating at a restaurant. We can all agree that a parent’s job is to teach children how to sit still, behave in public, and entertain themselves when they are bored. Most of the parents I know spend endless hours doing exactly that, and sometimes you just need a break. 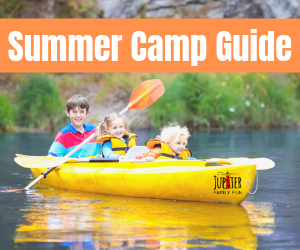 If you, dear reader, count yourself among the less perfect of us and sometimes need to resort to bribery, the dreaded screen, or just hiring a babysitter in order to go to dinner, then we’ve got a list for you! Here are five parent-tested area restaurants that will provide distractions for the antsiest of kids and BONUS, the food is good too. 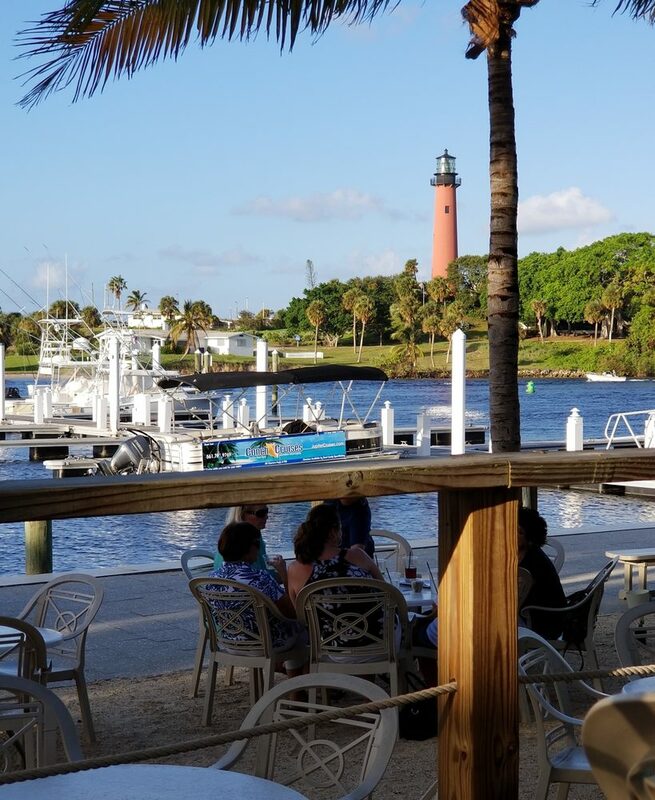 This popular Jupiter spot can get really busy during season, but if you head there early and you are eating on their “beach” (which is our choice when we have the kids in tow) you should be fine. 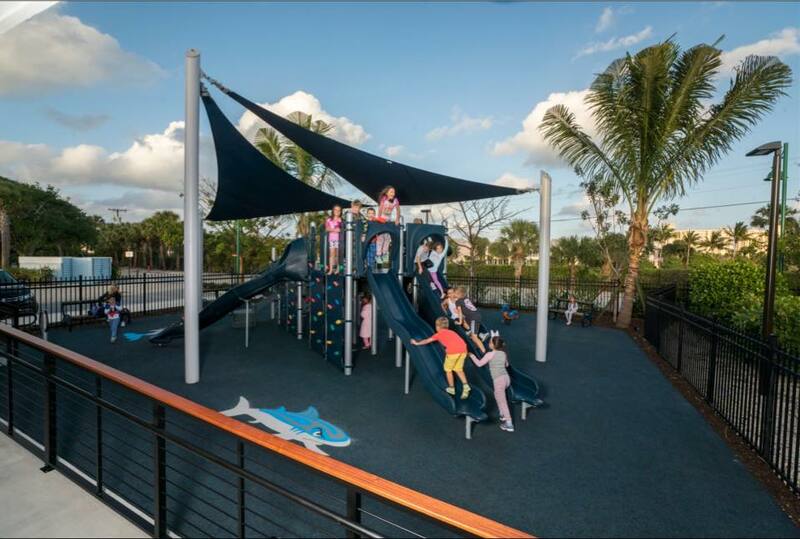 The view is great, the atmosphere is very casual, and the kids can easily get up and walk around, if they want, without disturbing anyone. 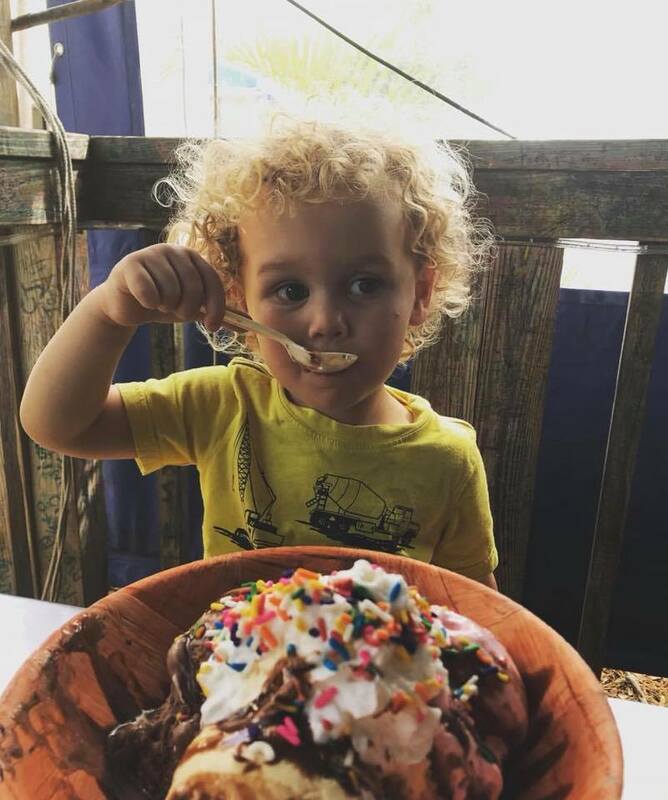 You might be tempted to think that it’s the mini-golf course that causes us to include The Burger Shack on our list, but locals know that it’s the playground located next to (and in plain sight of) this outdoor eatery that makes it so popular with parents. 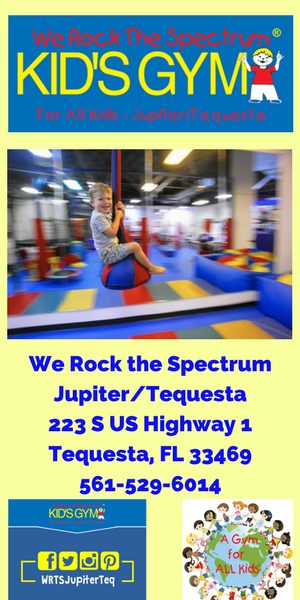 Add in a kids eat cheap night – Tuesdays – and this place is a must visit. 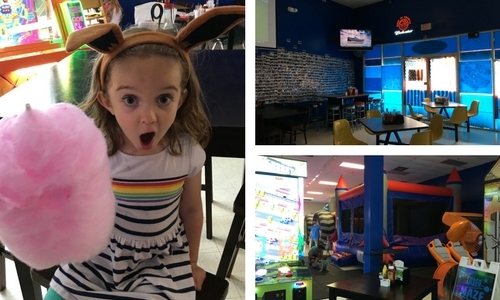 Let’s face it, if the kids can play games, “win” cotton candy, and jump in a bouncy house while they wait for their cheeseburger, why wouldn’t they love it? The fact that the food is good is really just a bonus. This Jupiter staple is a must for locals and visitors alike. 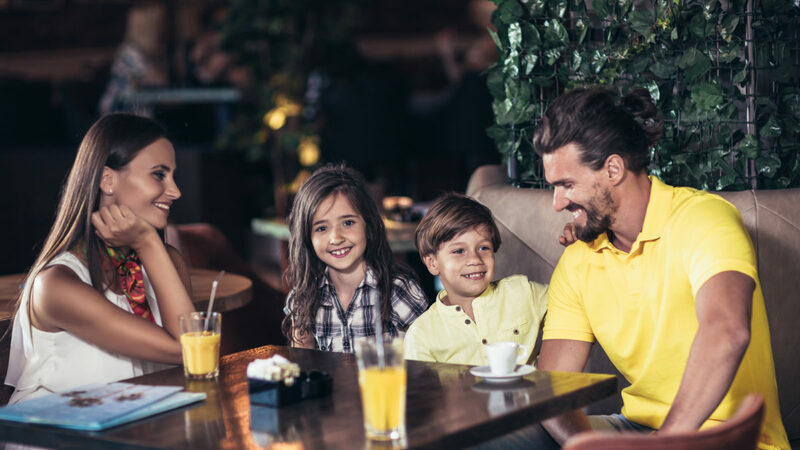 With a very kid friendly menu (ice cream is included with every kid meal), and an atmosphere that is conducive to people ignoring your child, it’s a great choice for Jupiter families. The kids will love the decor and you will love the prices. Especially if you choose to take advantage of their Wednesday evening $0.99 kid’s meal special. This pick is special because it’s actually lots of options rolled into one. 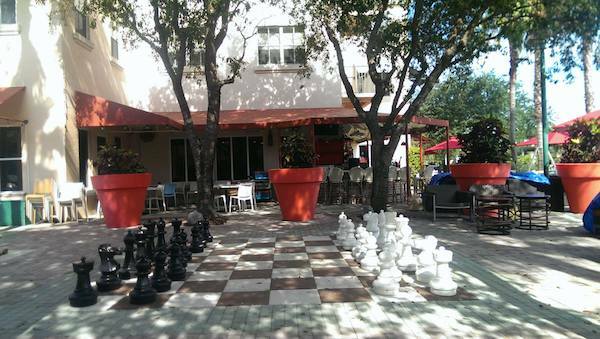 PGA Commons has several restaurants that offer outdoor seating, and when you have kids with you these outdoor chess boards offer a welcome respite from the constant “when is my food getting here?” whining. 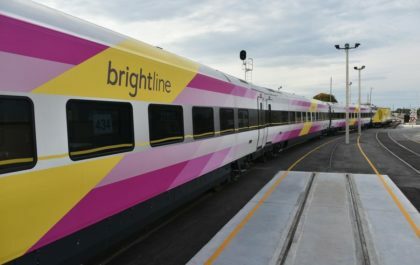 Did we leave your favorite off the list? 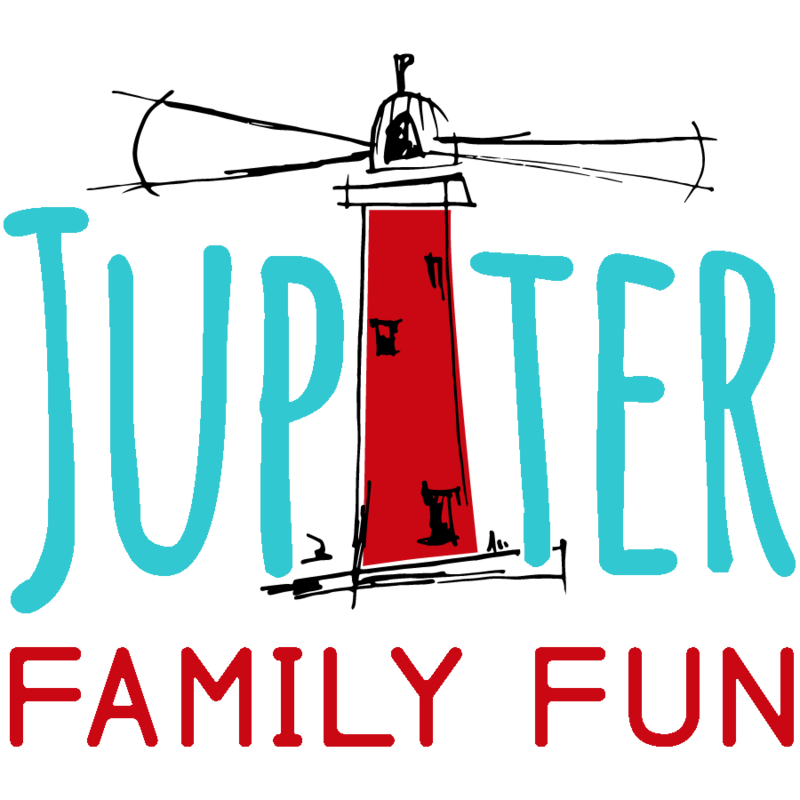 Send us the details at hello@jupiterfamilyfun.com. You never know, we might just compile enough for another post and that’s a great problem to have.